In recent years, aluminum roofing has grown quickly in popularity because of the many advantages aluminum roofs offer to homeowners. 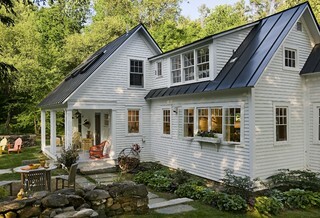 Aluminum roofs are attractive, durable, energy-efficient, and increasingly affordable. In the past, aluminum was not a popular roofing material for cost reasons and because of concerns about the structural limitations of aluminum. Recent innovations have resolved the structural problems and decreased the cost of aluminum.Aluminum is attractive and malleable and comes in a great variety of roofing types and designs, including standing seam, shake, shingle, tile, and slate. Aluminum can be formed into individual tiles or shingles or shaped into panels that mimic the look of shingles. It is also lightweight and easy to work with onsite. Once installed, one of aluminum's most important advantages is its great durability. Aluminum roofing does not warp, crack, or burn and, unlike steel, it is extremely corrosion-resistant and does not rust-a significant advantage in areas with a great deal of storms.